Luxury real estate gifts with purchase get bigger. A Scottsdale, Arizona luxury home site in the gated community of Silverleaf comes with floor plans from world famous architect Bing Hu. The home site is a beautiful match for the talents of Bing Hu. He did a phenomenal job capturing all the special details that we know the most discerning buyers will appreciate. Cars, boats and fully equipped game rooms are just some of the ‘gifts with purchase’ in luxury real estate, and now a Scottsdale luxury home site in the gated community of Silverleaf is upping the ante with a little help from one of the most famous and sought after architects in the world. The just under 1.2 million dollar home site, found in Silverleaf’s Upper Canyon, not only offers dazzling views stretching all the way to downtown Phoenix, it also comes with custom, floor plans by internationally acclaimed architect, Bing Hu of H&S International. The floor plans are particularly significant due to Bing Hu’s celebrated architectural talent and impressive list of accomplishments. Known for his magnificent multimillion dollar estates, Bing Hu’s path to becoming one of the most desired architects, in both Arizona and the nation, began when he attended school on a scholarship at one of the most prestigious architectural institutions in the world; Taliesin, the Frank Lloyd Wright School Architecture. His luxurious organic designs and eye for diligent detail helped turn him into one of the most successful and admired architects of all time. The 1.90 acre home site, offered exclusively by Scottsdale luxury real estate brokerage, The Moen Group, is listed for $1,145,000 and the Bing Hu custom floor plans are available to all qualified buyers as a consideration for the site. 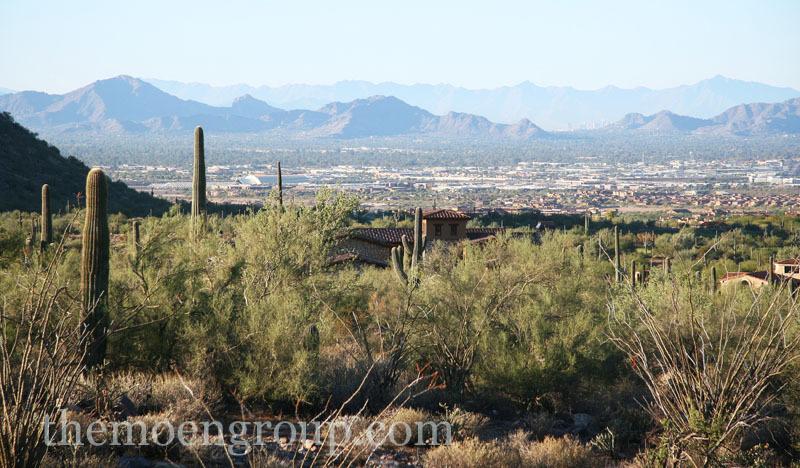 The home’s design, as shown in the architectural plans, takes full advantage of showcasing the natural beauty of the surrounding McDowell Mountain landscape and sweeping views of the city below. A high-definition video preview of the Bing Hu design and a full aerial and ground tour of the home site can be seen on The Moen Group’s HD luxury real estate channel at youtube.com/themoengroup. 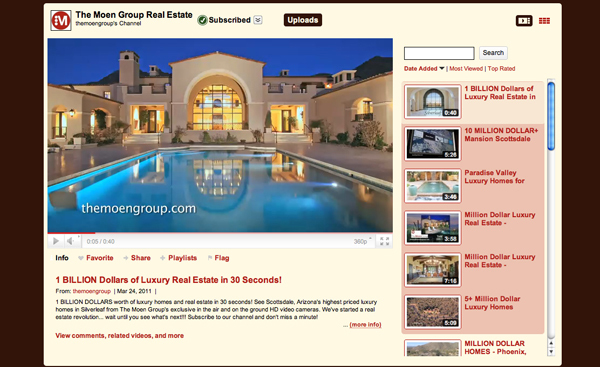 The Moen Group’s video channel also takes viewers inside several other significant Bing Hu designed properties, including a $10.5 million home set to air on HGTV in March. The Moen Group is a Scottsdale, Arizona based luxury real estate brokerage specializing in residential real estate and luxury community sales and marketing in cities including: Phoenix, Scottsdale, Paradise Valley and Sedona, among many others. The Moen Group currently represents or manages more than $250 million worth of luxury real estate in the world’s most prestigious communities including: Silverleaf in Scottsdale, Kukui’ula on Kauai and Martis Camp in Lake Tahoe. For more information, please contact Todd Moen of The Moen Group at 480-315-0991.